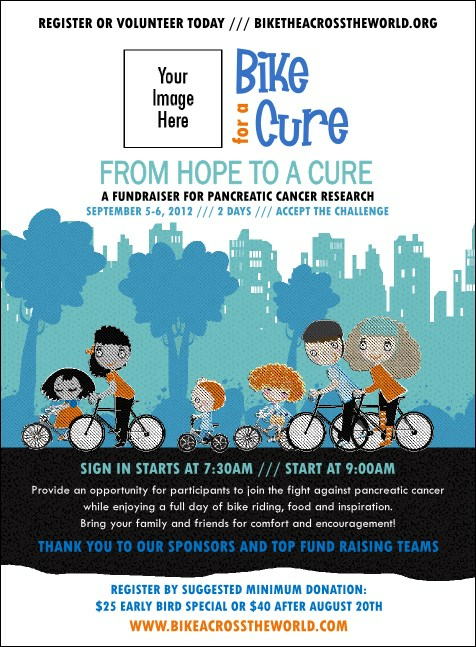 Get your guest list pumped about your next event when you send them personal Bike For Cause Invitations. Pull through and take the lead in attendance with these modern, hip Invitations. Each one shows an urban background in pastel blue with a pack of excited riders in the forefront, plus room to upload a logo or image. Don’t get stuck in granny gear! Choose from hundreds of Event Kits at TicketRiver.com.au.